Munhall, Pa. "In a crowded concert hall here on a late October evening, rock musician Steven Van Zandt leaned into the microphone-nodding his head, wrapped in his trademark bandana-and turned his between-song banter to teacher appreciation. 'We've been, you know, just trying to give a little respect to the teachers around the country,' he said to audience applause, while intermittently strumming a guitar at the helm of his 15-person band, the Disciples of Soul. In part, the tour is a bid to get Van Zandt's free arts-integration curriculum, TeachRock, into more classrooms around the country. 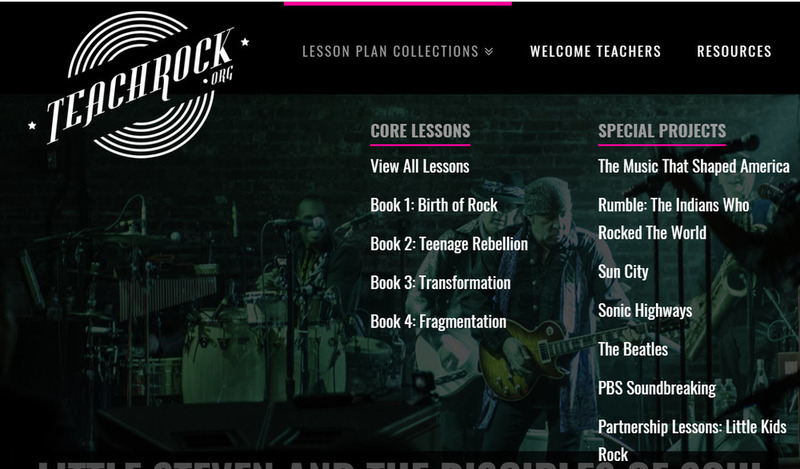 The musician's Rock and Roll Forever Foundation, which runs the educational initiative, has invited teachers at every stop on the tour-which is traveling to 19 states and Canada-for a free experience that's half professional development, half night out: a one-hour arts integration workshop followed by a rock concert. So far, more than 10,000 teachers have registered for the workshops, the foundation reports. The organization has also partnered with local school districts in some of these states-which have agreed to offer professional-development credit to educators who participate." Read the full story online at Education Week.